I just loved the previous books in the Life As We Knew It series and had no idea that Pfeffer was going to continue it. 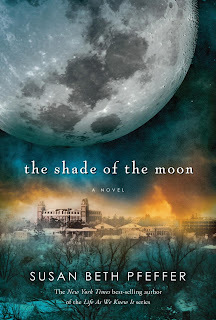 The Shade of the Moon will be released 8/13/13, so you have just enough time to catch up! BEA Giveaway: The Bone Season - Ends 8-5-13 - Enter now! I know! I totally freaked out when I saw it at BEA. thanks for stopping by and I'm off to check out your WoW right Now! Sounds interesting, I've seen some good buzz on the earlier ones. The cover is good too. i've seen this one before, it looks really interesting!